Official images of the Legendary Parties collection launching in October. 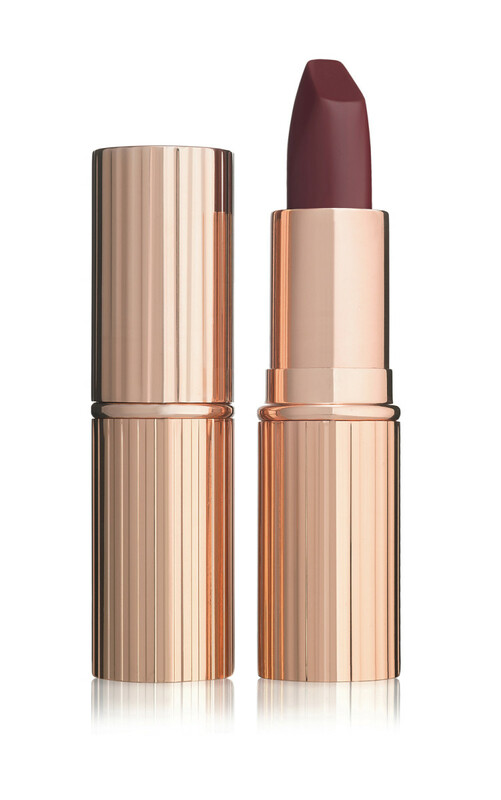 I know I only just posted snaps from the Charlotte Tilbury holiday 2013 Legendary Parties collection preview, but the official images just came in and offer a better look at the details. Plus, the campaign photos will give you an idea of how the so-gorgeous Legendary Muse eyeshadow palette looks on different complexions. 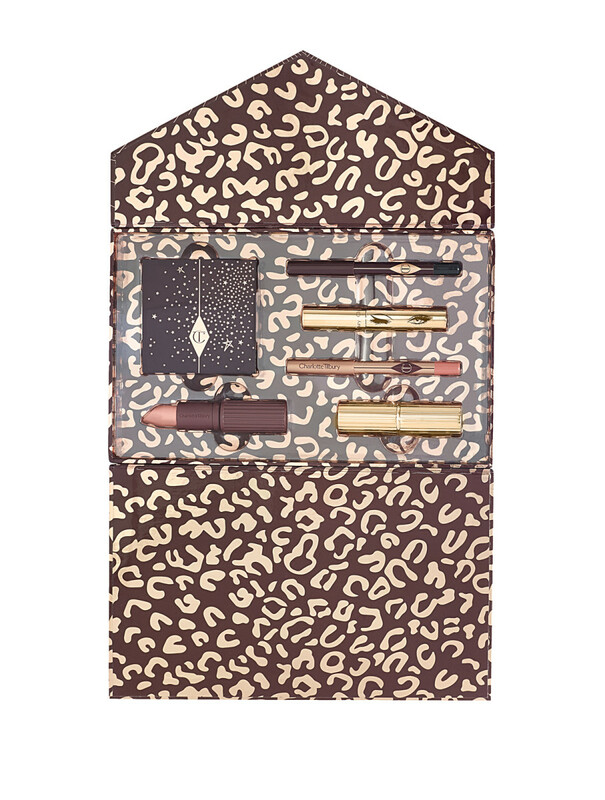 As mentioned in the previous post, the Dreamy Look gift set ($150 CAd and $128 USd) consists of a mini Legendary Lip Liner in Bitten Kiss; mini Legendary Eye Liner in Bedroom Black; Legendary Muse Luxury Palette of eyeshadows; Matte Revolution Hot Lips lipstick in Secret Salma; and a mini Legendary Lashes Mascara. 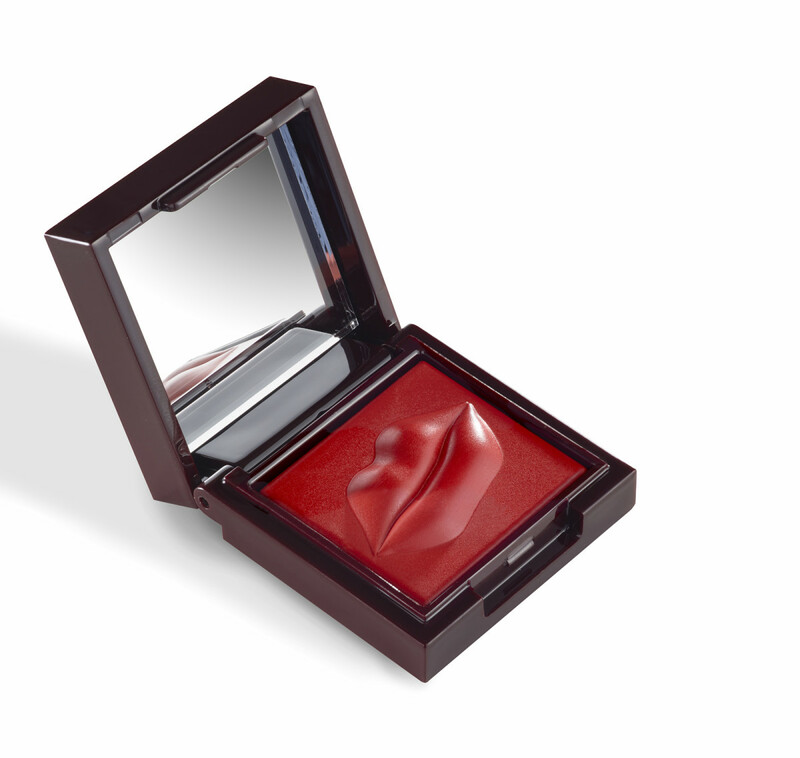 Ever wanted your own USB key in the shape of a lipstick? 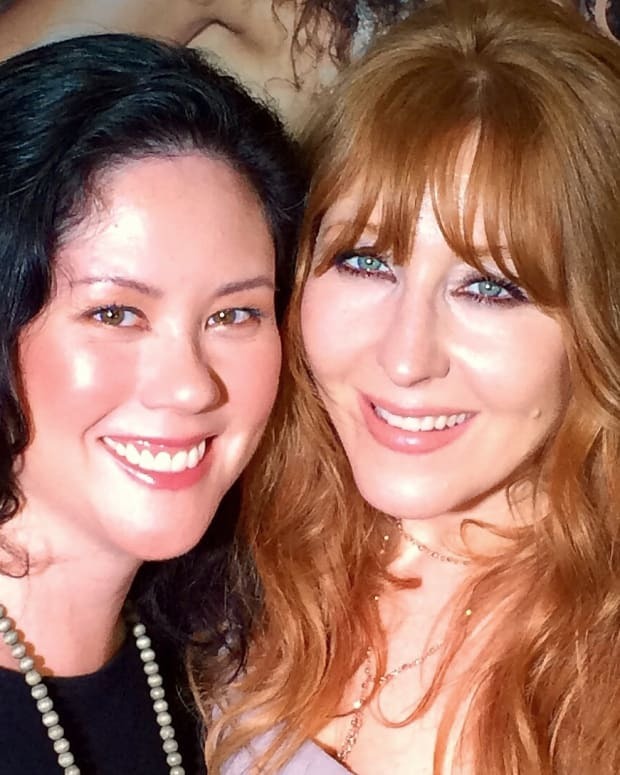 In addition to makeup, you&apos;ll get one in the Charlotte Tilbury Holiday 2016 Dreamy Look in a Clutch Gift Set. That&apos;s it there at under the Legendary Muse eyeshadow palette; it&apos;s loaded with Charlotte&apos;s Dreamy Look tutorial video. 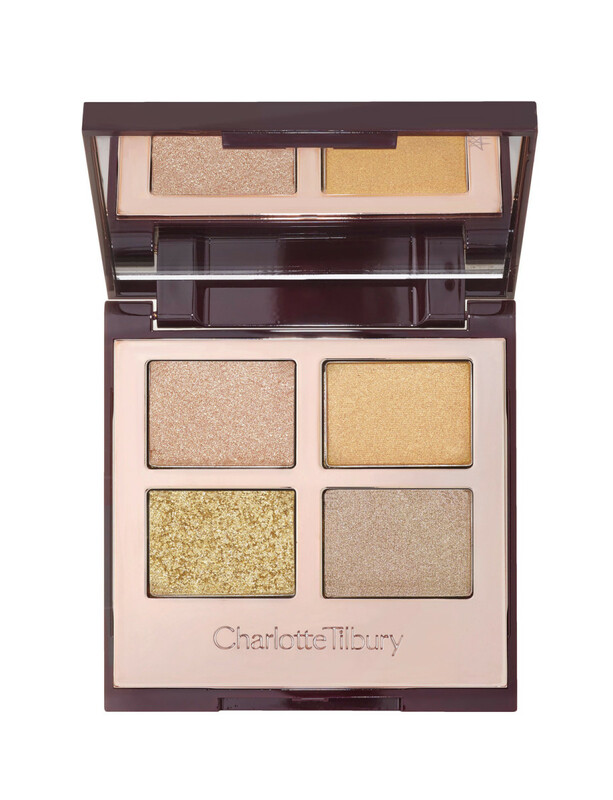 Yes, there is some super-sparkle in this Charlotte Tilbury Legendary Muse eye shadow palette ($64 CAd and $52 USd). 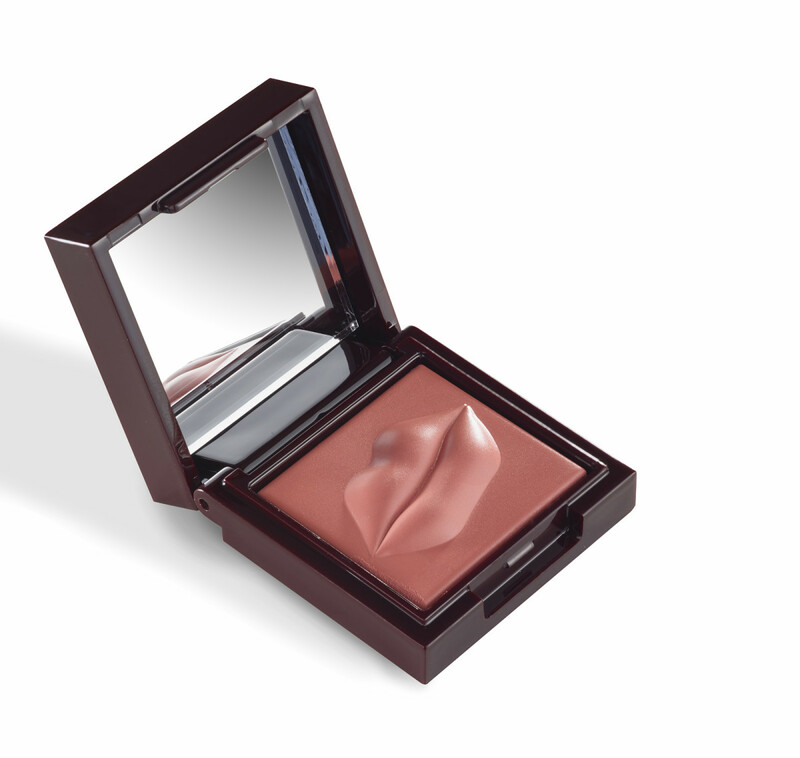 But a little pressed powder swept over it on your lids will knock back the high shine to a softer shimmer finish. Have I mentioned that the Legendary Muse eyeshadow palette is also part of the Dreamy Look gift set? 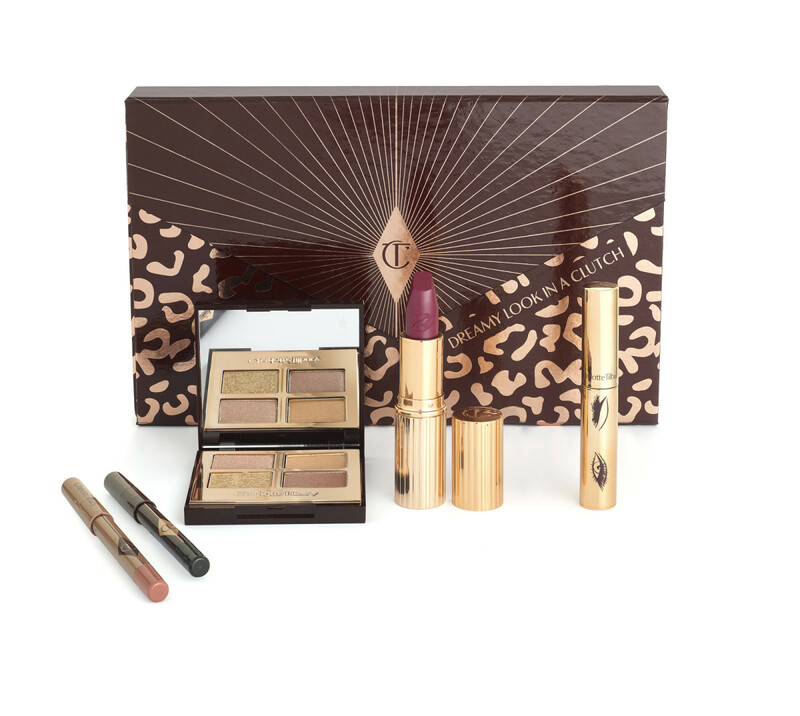 I didn&apos;t get a good shot of the Charlotte Tilbury Film Noir Nights gift set ($58 CAd and $49 USd) at the preview, so here&apos;s your first look. The inner lid of the reusable box has vanity-table-esque LED lighting; the set consists of a Rock&apos;n&apos;Kohl Iconic Liquid Eye Pencil in Bedroom Black and a Matte Revolution Lipstick in Opium Noir. Two words about this lipstick: Killer shade. 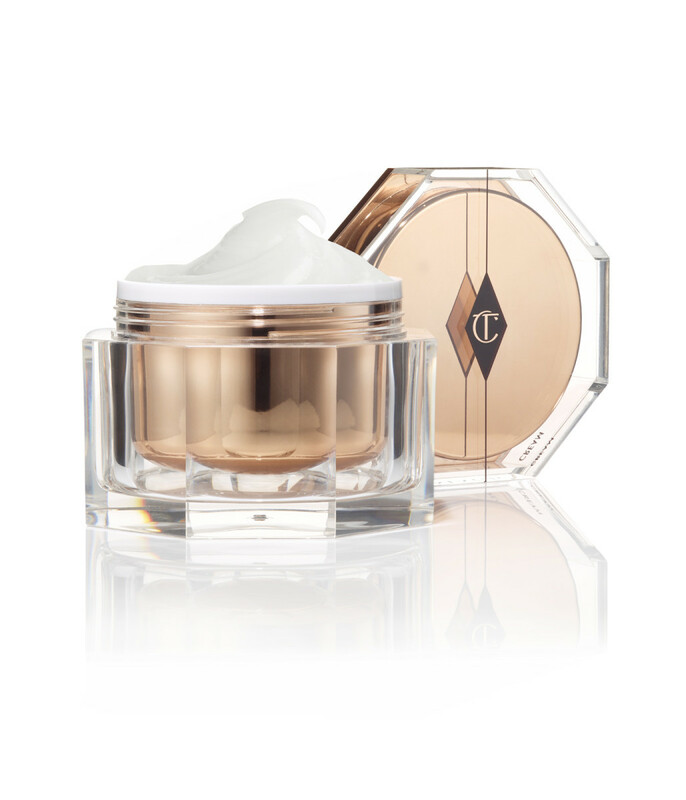 The Charlotte Tilbury Giant Magic Cream ($320 CAd and $255 USd) is three times the size of the regular pot for anyone who just can&apos;t get enough of the stuff. 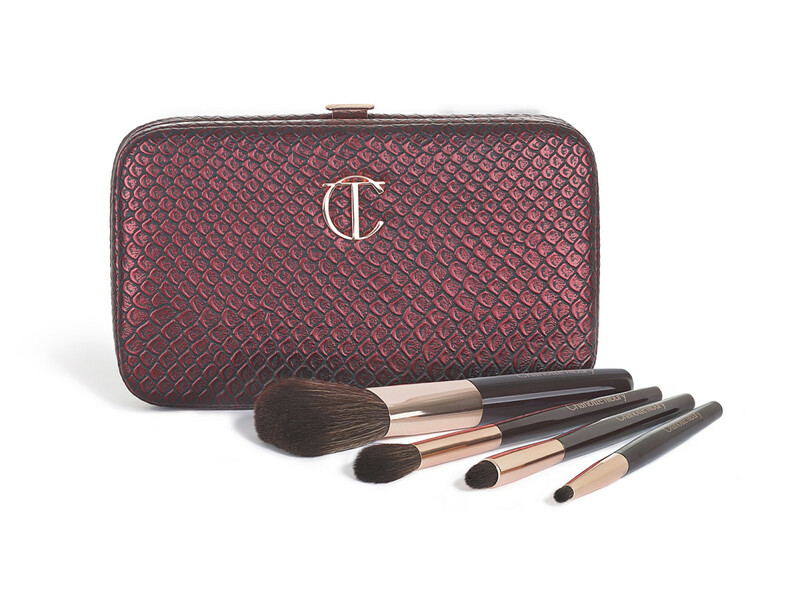 The press material doesn&apos;t identify each brush in the Charlotte Tilbury Magical Mini Brush Set ($75 CAd and $65 USd), but it does quote Charlotte as saying they&apos;re for "contouring, defining, blending, smudging and seducing." 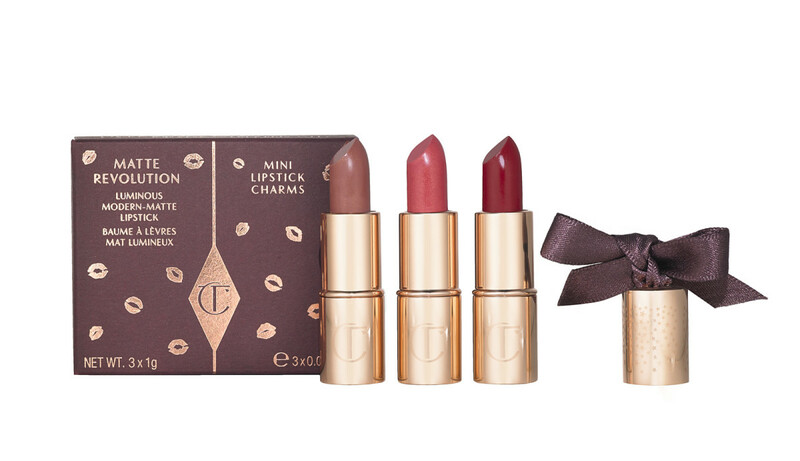 I have such a crush on these Matte Revolution Mini Lipstick Charms ($55 CAd and $39 USd)! They&apos;re the sweetest! Shades are Very Victoria, Amazing Grace and Red Carpet Red. 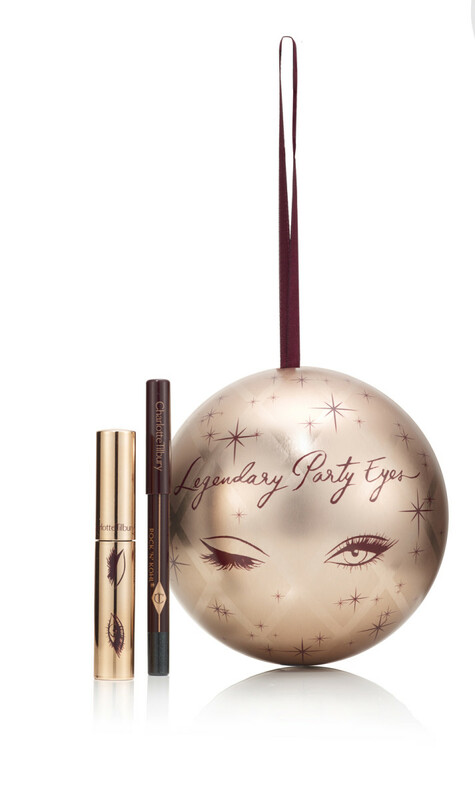 In my previous post I included a snap of the Charlotte Tilbury Legendary Party Eyes gift set ($32 CAd and $27 USd) but didn&apos;t show you what&apos;s in it, I&apos;m sorry! Rectified now. Tucked inside the oversized ornament is a mini Legendary Lashes mascara and a Rock&apos;n&apos;Kohl Iconic Liquid Eye Pencil in Bedroom Black. 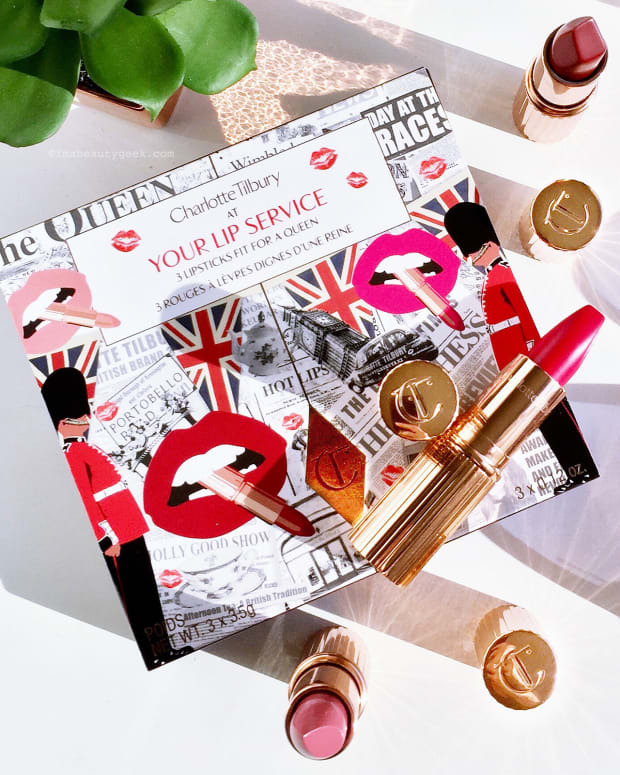 These little Charlotte Tilbury Pocket Kisses ($28 CAd and $22 USd) come in two shades. That&apos;s Kiss Me Quick above, and Jessica Red, below. Totally cute. And here are the brand shots of the 2016 edition of the Charlotte Tilbury 12-day advent calendar box. Charlotte&apos;s World of Legendary Parties ($250 CAd and $200 USd) is of course stocked with all the best-selling minis from last year&apos;s kits along with some of this year&apos;s new hits, such as Legendary Lashes and Matte Revolution Hot Lips lipstick. Gotta say I love the little drawers! 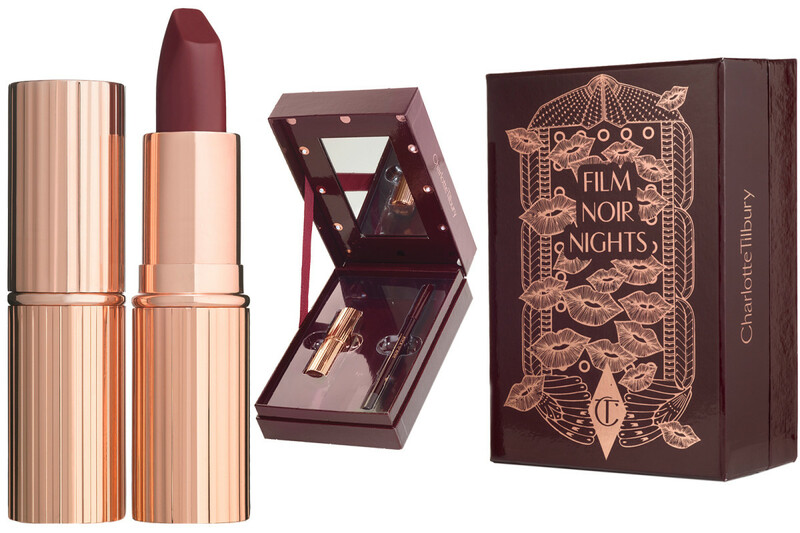 All these gift items will become available in October at the usual retailers; Charlotte&apos;s World of Legendary Parties will be exclusive to charlottetilbury.com.